Nice recap. Cocktails and swimming are something I haven't had/done for a while! What a great pool, looks so relaxing! loving those drinks!! and is that a pool? looks so relaxing and pretty! 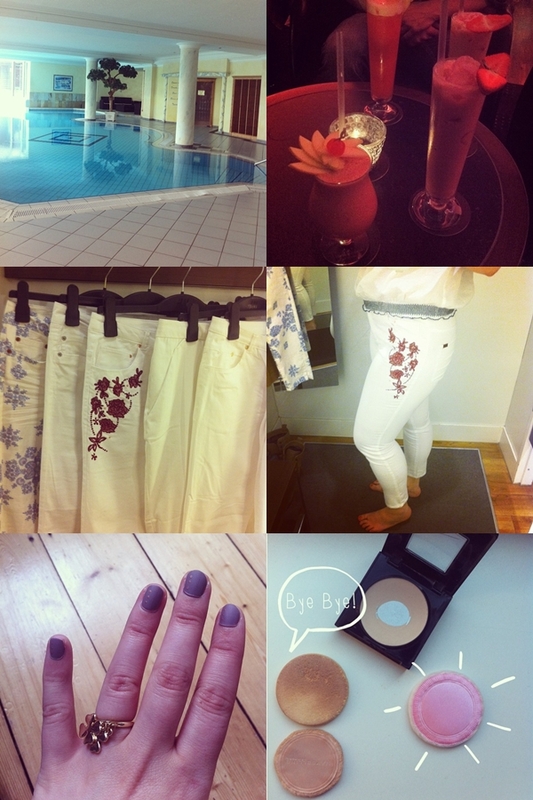 The indoor swimming pool looks amazing, love the embroidered jeans and super cute ring! Tolle Bilder. Immer wieder interessant zu sehen, was du so in der Woche erlebst.